“It’s part of our French destiny,” he said. 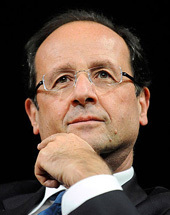 “Tomorrow a national fund will be launched, and well beyond our borders.” His predecessor as president, François Hollande, declared: “Notre Dame is our common heritage, it’s a wound to see her ravaged by the flames. Respect to the firefighters who are working to extinguish the fire. The series, due to be broadcast on January 28, features interviews with a broad swathe of political figures from all sides of Brexit, including former chancellor George Osborne, ex-foreign secretary William Hague, president of the European Commission Jean-Claude Juncker and former French presidents Nicolas Sarkozy and Francois Hollande.